As criminal minds keep getting ingenious with time, it is normal to stay worried about the safety of your valuable things no matter the place. If you are looking for a place to keep your valuable things safe and secure, investing in digital lockers can be a smart idea. 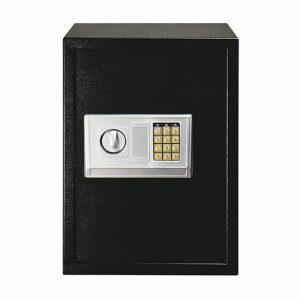 If you have some emergency cash or valuable jewelry stored in your residence or have some important, confidential documents to take care of or even in cases of keeping small licensed weapons for security, lockers are a fairly safe option. Manual lockers are all well and good, but the usage of digital lockers is largely visible in recent years especially for residential securities. Digital locker price in bd can be of various amounts depending on the locker. If you have no idea about digital locker price in Bangladesh, you can check that out on our website. A digital locker is basically a form of a heavy metaled box with a heavier metaled door. It can be of various sizes. The knob of the door is also usually made of metal. But unlike the normal lockers, digital lockers have a keypad and a couple of LEDs to display the output. 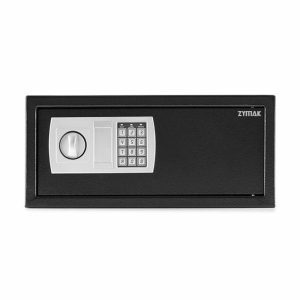 An emergency key is provided with most of the safes for emergency access in case a combination code is forgotten. This electronic mechanism on the door is backed by batteries. This is where digital lockers are different from manual ones. It is also widely known as electronic lockers. Unlocking the digital locker – The user shall press the right combination codes to open the locker. If the combination is pressed wrong, it may alarm with a beep to warn. Repeated wrong entries might lock the keypad and the locker. Emergency keys should be used to solve such situations. Battery discharge – In case a battery is discharged completely or failing to power the mechanism, the bolt would be locked permanently and emergency keys would be needed to open the door. The locker might give a signal in its own way when the battery is less than a particular level to alert the user to change the battery. Combination code lost – In case the combination code is lost, the emergency key should be used to open the digital locker. Set/re-set combination codes – It can be done only when the door of the digital locker is opened. Depending on the available feature of a specific locker, the combination codes are programmed to set or reset in its own way. Why digital lockers are useful? When we think of storing our precious items safely the first idea that pops in our mind is lockers. Now even though we can use bank lockers for keeping our valuable things, we cannot have that next to our hand always or we can’t have access to those whenever needed. A digital locker can solve these problems. If we have a safe right in our house or workplace, we can store our precious things in it. Everything that is materialistically valuable can be kept in it. Be it cash, gold, or other expensive jewelry, confidential papers, licensed guns or anything precious, it would be safe in a digital locker. Owning a digital locker can give you the privilege of housing all your precious things and you can also have access to them all the time. Locker price in Bangladesh is available in different ranges depending on the digital locker. Budget-friendly – who doesn’t want to protect their hard-earned precious things? Digital lockers are a useful and convenient solution for security and it also doesn’t cost a fortune. 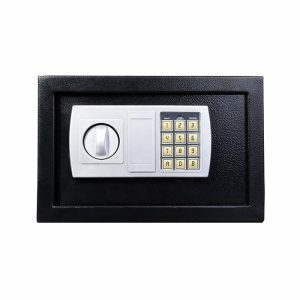 Safe locker price in Bangladesh can be of various amounts depending on the quality. If you have no idea about digital locker price in Bangladesh, you can check them out on our website. User-friendly – Digital lockers are very easy to operate. This gift of technology runs in a heavy but simple mechanism. Commonly it can be used just by knowing the combination codes. Some high tech advanced digital lockers may require fingerprints or retina scan to for access if installed. It can have a great amount of storage space inside depending on the size of the locker. Extra storage is always useful. Even in retail shops, super shops or jewelers, it can be used to store cash temporarily before being banked. Many of these have an attachment system with a wall in order to prevent it from fleeing away. With plenty of usefulness, digital lockers are very much user-friendly. Convenience – It is not always convenient to have stuff that requires a lot of space especially in city life. Digital lockers are mostly medium-sized or small in shape. So, it wouldn’t take much space of any house. You can pick your desired size which would fit in your budget and also fulfill your needs. 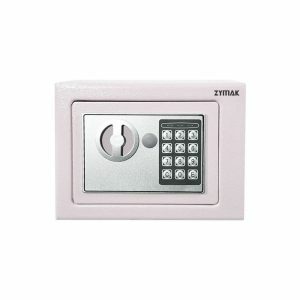 A handful collection of digital lockers is available at zymak electronics. You can check them out both on our website and our store. Durability – Digital lockers are durable units. These are designed and built to withstand any kind of harm from outside. But not just that, digital locker’s electronic mechanisms are sturdy too. A digital locker can serve you for years. 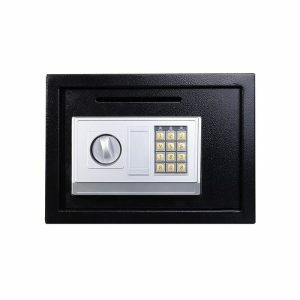 Safe locker price in Bd can be of different amounts. It can also be different depending on size, features and technological advancement. Digital lockers were not very commonly used in Bangladesh earlier. But the increased rate of crime has made people more conscious about their precious things. Technological enhancement worked as a gift in solving this. Digital lockers are not very much expensive in general and they can almost fit any kind of budget. Zymak electronics has been dealing these for a long time in Bangladesh. If you are looking forward to investing some money in securing your precious things privately, digital lockers would be your best option. Zymak houses plenty of options. We serve the best quality products at the most reasonable price. So, if you would like to purchase one, you can come down to our store at Dhanmondi. We will be delighted to help you to get the best deal at the most reasonable price.